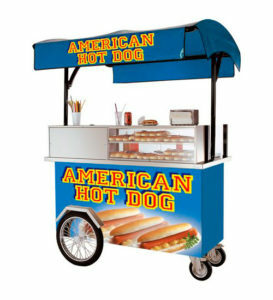 This machine will satisfy everyone’s demands. 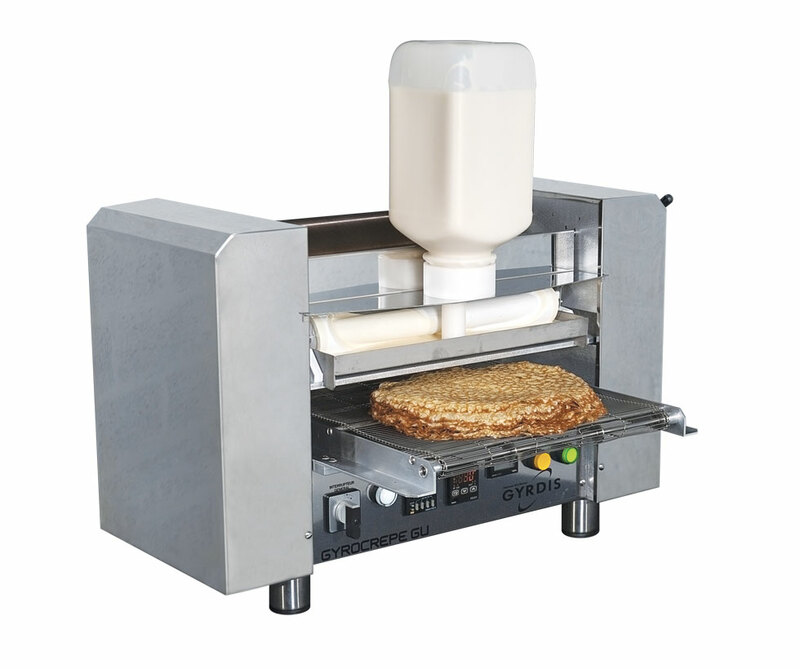 Its operation and the quality of the pancakes it produces will surprise you. Its versatility, exemplary heating precision and unfailing reliability are selling points that will win you over. 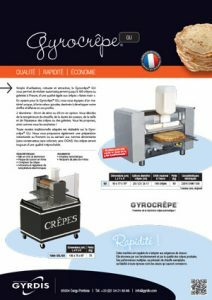 Easy to use, sturdy and attractive, the Gyrocrêpe® GU will automatically make up to 180 sweet or savoury pancakes per hour, with a quality equal to handmade pancakes. 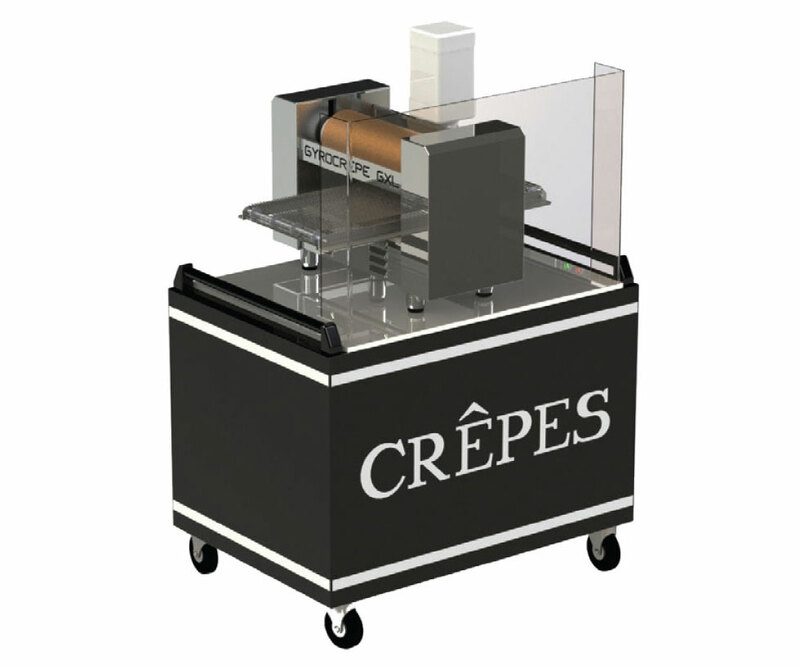 With a Gyrocrêpe® GU you will acquire a unique piece of equipment with high added value, designed to boost your sales and profits. 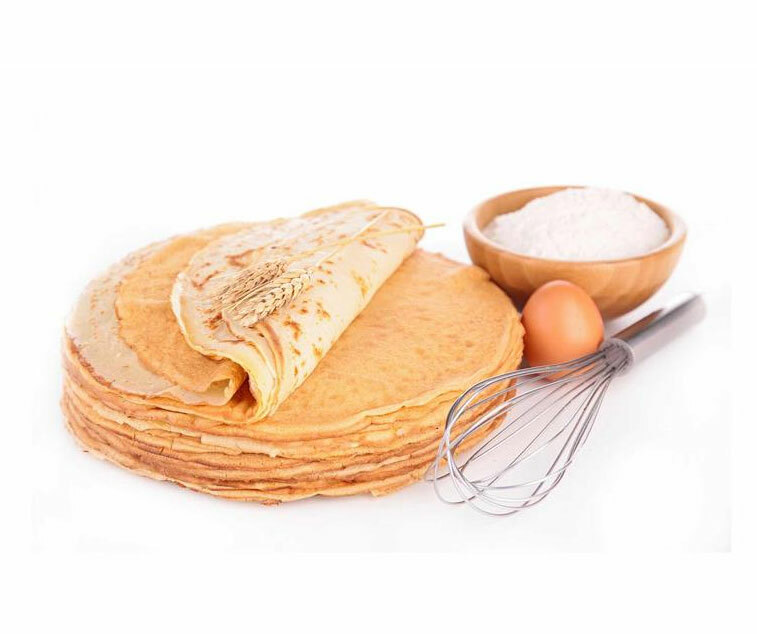 You can thus offer your pancakes as you wish!